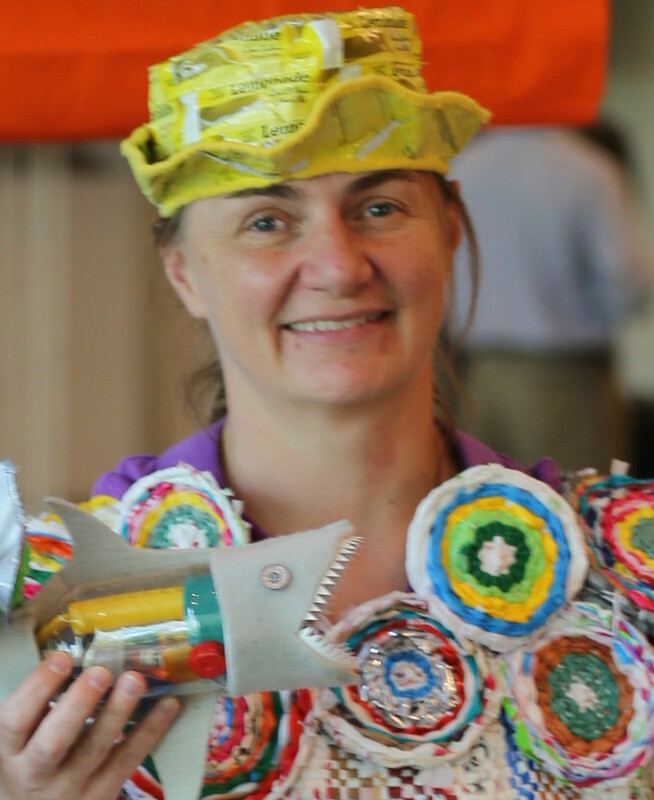 Trash fashion is clothing made from trash or recyclable materials. In 2015, I designed two dresses for a trash fashion show, hosted by the organization Trashion Fashion. 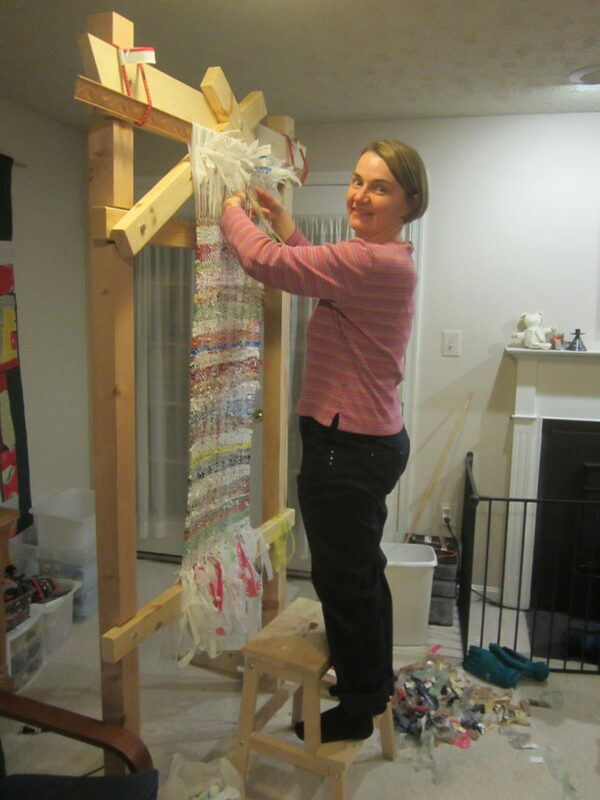 The dresses were woven from plastic bags of many colors. 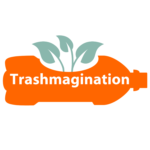 Since then, I have researched more about trash fashion and pulled together a collection of designs on my Trashmagination Pinterest board about trash fashion. I have learned that plastic bags are probably the most common material used in trash fashion designs, and now I am intrigued with the idea of using a more original material for a future design. Hosting a trash fashion show is a great idea for community events, especially around Earth Day. Listen to this podcast for tips on how to run a successful event. Below are resources to help. Here’s a link to my blog about sewing a fedora from lemonade crystal powder tubes. 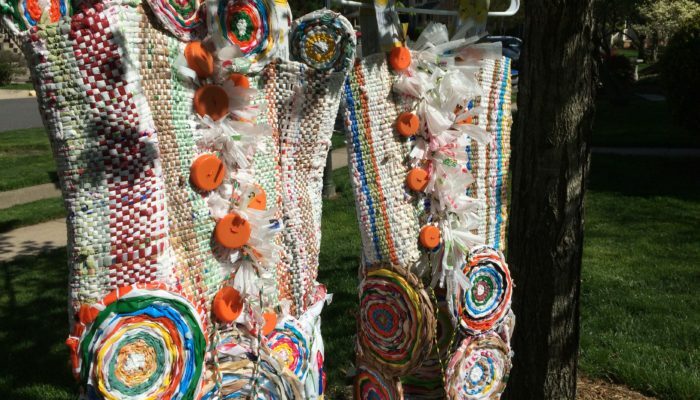 Look for a Trash Fashion Show near you – These are especially popular around Earth Day. 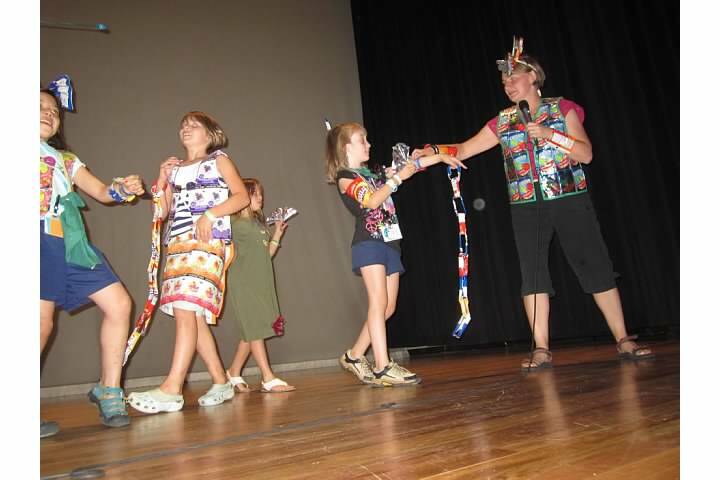 Organize a Trash Fashion Show – This is a great way to engage your kids, your students and your community. Go beyond the obvious answer – Most trash fashion outfits tend to use similar materials, but some people really expand the boundaries by finding new materials. I hope that inspires you to seek a solution that outside the obvious in some area of your life.